The Nanokeratin System keratin treatment is a revolutionary hair styling treatment. This innovative system both straightens and repairs hair. 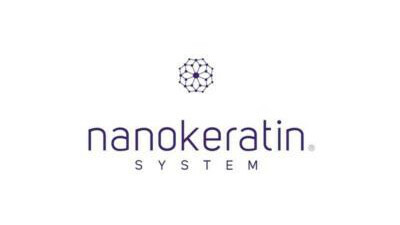 The name Nanokeratin stems from the term "nano-molecules of keratin". A nano-molecule is 0.000000001 of the size of a regular keratin molecule (keratin is a polymer) thus allowing it to penetrate the smallest fissures in the client's hair and fill them with keratin (the substance that makes hair strong, shiny and soft).Once the hair strand is coated with a layer of "nanokeratin" molecules, a dissolving substance is vaporized through an additional process. At the end of this process a reaction called polymerization occurs, filling the hair fissures and making the hair durable and flexible. As a result of straightening and coating the hair with nanokeratin, it becomes straight, beautiful, silky soft, healthier, strong, amazingly shiny and easier to style. The Nanokeratin System hair repair, coating and straightening method is a quick process that achieves high quality results. 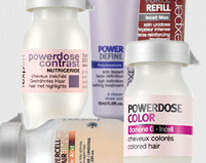 The Nanokeratin System hair repair, coating and straightening method is suited to all hair types. The Nanokeratin System method repairs hair and makes it healthier. Impressive results for severely damaged hair. Appropriate for men and women alike. The results last 3-5 months.